We are so excited to announce that our Timeless album is now ready for pre-sale. If you order it today you will be able to receive it after September 1st. October 6th is the official release date for everyone else, but we want to make it available for our friends who visit us here on conwaytwitty.com so they can get it early! Just press the link and it will allow you to order right now! Just scroll down to the merchandise area, open it and you will find the new TIMELESS album. This album was originally recorded in 1973. Dad and his band, the Twitty Birds, went into the studio and recorded 14 songs for the United States Armed Forces and they created a Navy Hoedown show and broadcast it on radio stations around the country. These never before released recordings are songs that were Dad’s hits from those years and a few that he did in his show at that time. Tom Gramuglia with Country Rewind Records purchased the masters and contacted us to see if we would be interested in partnering with them to release this great piece of work. His plan was to hire a Nashville producer to enhance the existing album. I told him he needn’t look any further. My husband, John Wesley Ryles and I could co-produce the update of this album. He loved the idea and we were honored to have the opportunity. We hired Mark Capps to help us do the engineering. Mark has worked with us on every project we’ve done for Dad so this was the perfect person to contact first. Mark’s father, Jimmy Capps, played acoustic guitar on Dad’s albums for many years so there is a natural bond between us. My husband, John, sang background vocals on all the songs. John had many hits as a country music artist but made the decision to quit touring and do studio work. He became one of Nashville’s top background singers singing on multiple hit records, too many to mention. It is so special to hear him and Dad singing together! Their voices blend perfectly! My sister Kathy’s husband, Tony Durante, played acoustic guitar on two of the tracks. We wanted to have Tony be a part of this special project. He has a degree in music and has played with orchestras in the past. It was special to have him be a part of this project. Kathy came up with the title for the album. Timeless was the perfect choice! We also had some of our great musician friends, Ron Oates and Kevin Williams, lend their musical genius to the album. These musicians have played on huge artists’ projects such as Gladys Knight, Ray Charles, Dolly Parton, The Gaither Vocal Band, and the list goes on and on. The enhancement we did made a great album shine even brighter! Dad’s vocal performance is stellar and I know this album is something you will love! Get it today and enjoy some great, real country music! It will become obvious once you have heard it why Conway Twitty is TIMELESS! Seen conway many times. But one of my fondest was in ozark alabama, just out side Dothan. The Rose was his it at that time, ronnie wad his warm up. What a night. I never took a date to a conway concert, but never left alone. He wasn’t one of he was the best friend a song ever had. I had the honor of seeing Conway in concert at the Knoxville Coliseum on two different occasions back in the 70’s, and once at Tombstone Junction. My son and I will never forget these. He was and always will be my very favorite singer in the world I still listen to him daily…….always…….and sure do miss his style and music. Love this man!!! 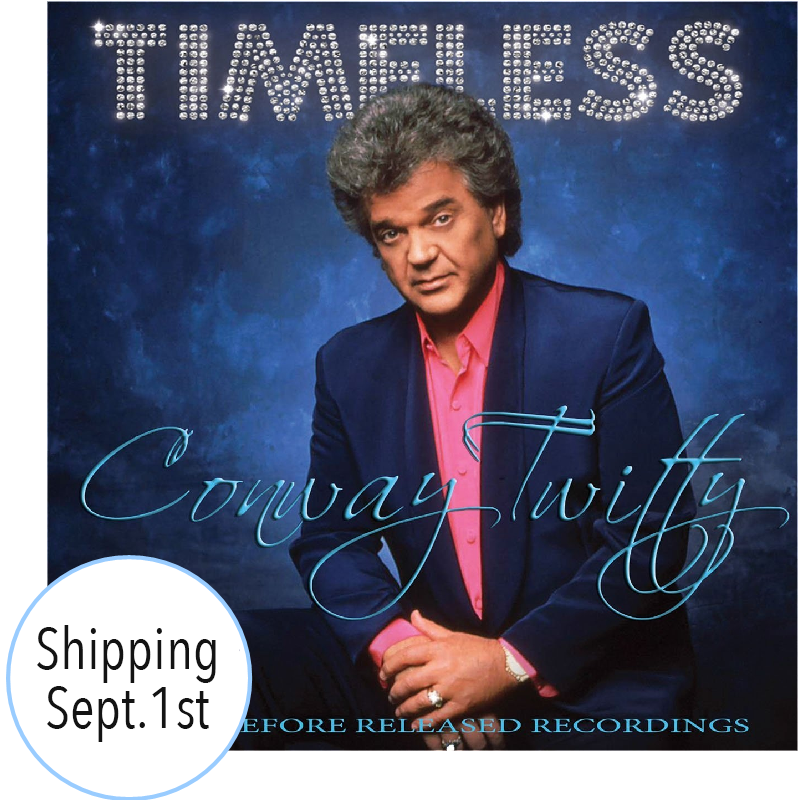 I had the pleasure of seeing Conway many times in concert, one time I had the honor of chatting with him, a moment I will always cherish… I saw the Conway Twitty musical with my son , it was awesome, I did get to visit Twitty City and that was very awesome… I cannot wait to get this CD Timeless, I know I will enjoy it and treasure it always. 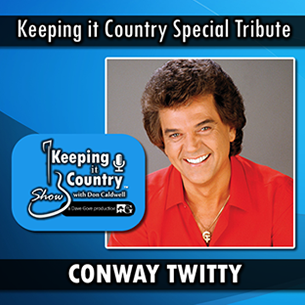 Thank you Twitty family for keeping Conway’s memory alive and for loving his fans as we all love you..Thank you for all your time spent on making this awesome cd… Conway lives on forever thru you and we’re so thankful he does.. God bless you all ? This release is country gold at its best! This is what country music is all about. Great job , Joni and crew! Your dad would be proud. Happy Birthday, Conway! We miss you! Conway was a great singer he was a good looking man.He was some one you could be proud of.And i know his family was very proud of him.I HAVE BEEN LISTENING TO CONWAY ever since i was 14 and i am 68 now.He was my Idol and always will be I never got to see him in person even though i wanted to .But we was poor folks back in those days.We couldn’t afford to go to concerts.And it really hadn’t changed much.But it was a tragady the way he died.I will always miss his singing. Conway was a Gentlemen. I was honored to have him on my radio program in Austin (Tx) several times between 1977 and 1980. Kinda funny tho, Conway and Loretta have both been on my program….but never at the same time. God bless his memory. After 42 years in country radio, Conway Twitty’s vocal abilities have NEVER been equaled, in my opinion. Michael Price. (Retired) KOKE-FM Radio, Austin, Texas 1977-1980. I saw Conway at his one & only Outdoor Concert appearance at Heber Springs, Ar .